The On The Move Newsletter is your source for quarterly transportation news in the North Front Range. Please click on the image or link below to view the current edition. 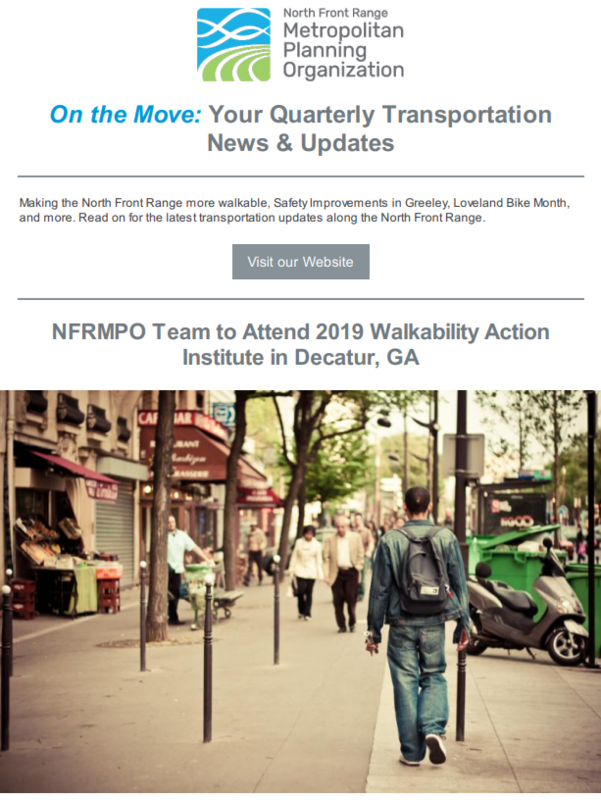 2019 April-June NewsletterSubscribe to receive On The Move quarterly emails.